In this series of comic panels, Dr Pillai (Babaji) introduces you to your magical pineal gland (also known as your third eye) that is in charge of manifesting your desires. The purpose of these comics is to present Babaji’s teachings in a simple and easy-to-follow form for everyone. If you missed Parts 1 to 3, click HERE. 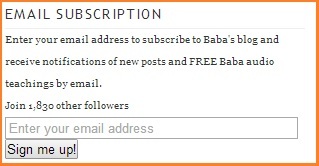 Don’t forget to follow our ShreemArakara blog (by subscribing at the top right section of this page) so you can be among the first to receive Babaji’s teachings when I post them!